The first step for aquatic education. Techniques to encourage adjustment into the water are explored along with basic swimming skills. The second step of aquatic education, with Tiny Tot Swim - Level I as a prerequisite. Tots are introduced to beginning swimming and aquatic skills. Note: In this level, adults do not accompany children in the water. Check with the instructor for any prerequisites for levels II & III. A swim diaper, covered by plastic pants, must be worn by children who are not toilet trained. The third step of aquatic education, with Tiny Tot Swim - Level II as a prerequisite. This is an advanced class for children who are very comfortable in the water and able to stand on their own in the water. Tots are given instruction in beginning swimming and aquatic skills. Participants will be introduced to aquatic activities through water exploration. Individuals will learn basic swimming techniques, advanced breathing techniques and mechanics of the four basic strokes (freestyle, backstroke, butterfly and breaststroke). Participants will be grouped according to skill level. Note: Due to a high demand, some locations may have to limit the number of classes a participant can register for. Please contact your location before registering for more than one Learn to Swim class in the same session. For participants who want to learn to swim, improve their stroke mechanics and/or breathing techniques, through dedicated one-on-one instruction. One lane will be set aside during Lap Swim for this activity. Note: Must register in person for this program. For participants who want to learn to swim, improve their stroke mechanics and/or breathing techniques, through small group instruction. One lane will be set aside during Lap Swim for up to three participants. 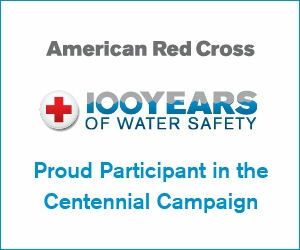 Financial assistance, through the American Red Cross Aquatics Centennial Campaign, is available to City of Chicago residents for Youth, Teen, and Adult Learn to Swim Classes; Tiny Tot II and III classes; and TEAM Sports activities at the following parks: Austin Town Hall, Carver, Don Nash, Foster, Grand Crossing, LaFollette, The Park @ NTA and West Pullman Park. Learn more.